Weinberg senior Petros Karahalios speaks on a resolution about active consent at Senate on Wednesday. The resolution was inspired by California’s “yes means yes” law, which passed in September. Associated Student Government Senate voted at its Wednesday meeting to allow off-campus students to elect their ASG senators during elections in the spring. Formerly, off-campus senators were chosen by a selection committee. Additionally, Rainbow Alliance Senator Petros Karahalios proposed a resolution regarding active consent, inspired by the “yes means yes” law passed in September in California that requires college students to obtain active and explicit consent before engaging in sexual activity. Senators are scheduled to vote on the proposal next week. Senate passed the resolution introduced last meeting calling for students to be included on Title IX conduct hearings. The legislation was discussed during the Association of Big Ten Students winter conference, held at Northwestern on Jan. 16-18. ASG delegates will lobby for the proposal in Washington, D.C., at the ABTS conference in the spring. 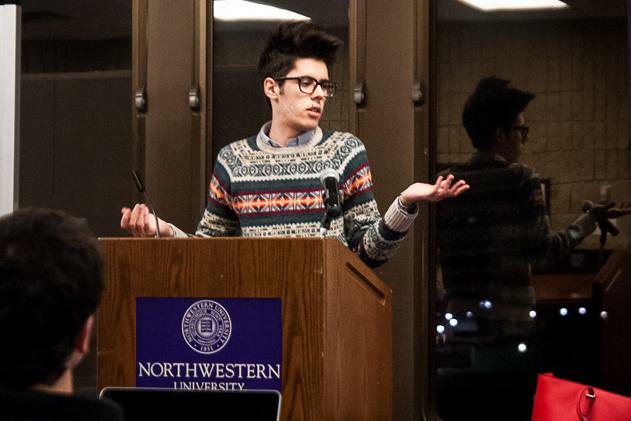 Northwestern took students off its Title IX hearing committees after White House officials recommended in April students be removed from such hearings. Senators also voted to allow candidates to start their petitions on March 30, the start of Spring Quarter classes, and submit them the next day, compared to two days later in previous years. The election period was extended to end at 5 p.m. on April 10 and rules about campaign materials were adjusted so candidates would receive 600 fliers rather than 800. Additionally, voting booths will only be run by the Election Commission. Chief of Staff Andrew Green announced applications for student groups to have representation in Senate opened Wednesday night. The applications were approved. Chris Harlow, vice president for student life, proposed amendments for both the Mental Health Working Group and the ASG Feedback Working Group to have their deadline to report back to Senate with their findings extended from Jan. 31 to March 11. The amendments were moved to old business and voted on later in the meeting. Both passed.